the Major thing was solving the usual Memory issues Daytraders may/do experience. also, cAlgo has been Merged to make it one software suite, which is nice, but in a productivity point of view, complete nonsense. who is gonna trade and backtest on the same account ? but here we are, it’s nicely done and the overall appearance is very fast and nice to see. 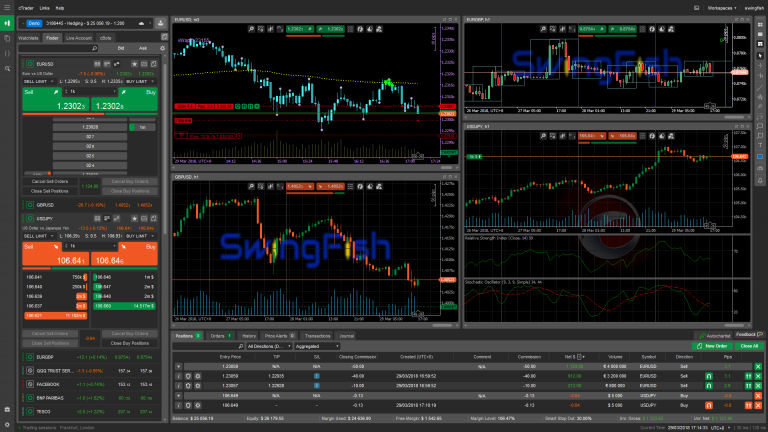 and opening a new chart in full screen/single chart mode is kind of a challenge. but well new things comes with new challenges. overall it’s very good that there is still some development going to happen. 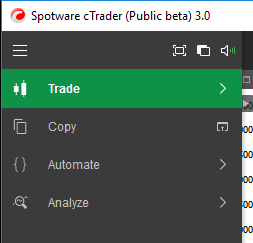 ine thing apears to be “new” which is the “Quick Trade Mode” can be changed based on WorkSpaces. which means (not tested yet), you can have different settings in different Workspaces. you may have no stops or limits set, or a tiny stop may be a problem. 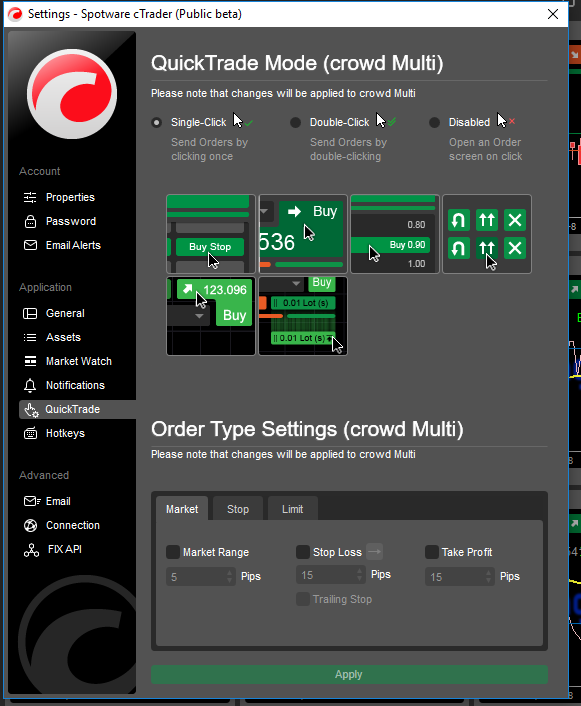 with QuickTrade Modes based on Workspaces, this is now possible. 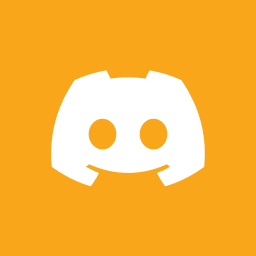 the DoM appears to be more responsive, but this needs some testing with a Live Account to be sure about it. 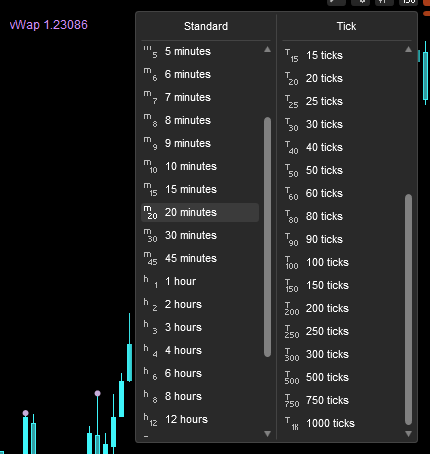 a brand new application part that acts as a Trading Log, to analyze your performance or the performance of an EA/Algo. I can’t see a way to more clearly sort things by tags or assets and other things, but hey, it’s a beta. info like Net profit, Profit factor, Percent Profitable, Max Balance Drawdown, Equity, Deposits, Withdrawals, Margin Used, Equity chart, Performance chart and Performance statistics, Volumes, Profitability are available. we will have to wait for another update on that one. so far, quite a step ahead !! keep it coming Spotware! 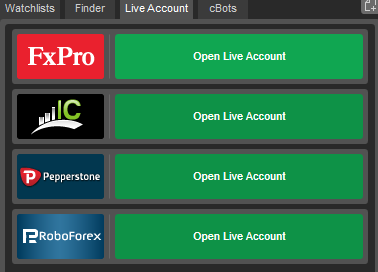 using the “live Account” Tab shows some Broker links. please, not this links will bring you to the Broker pages but registers also Spotware as Your IB (Introducing Broker). you may be better aware of that, since this may cause some later issues if you do partner with another IB already.